Against the backdrop of efforts by International Olympic Committee (IOC) president Thomas Bach to acknowledge the intimate relationship between sports and politics in a break with the sport world’s long-standing insistence that the two are separate, Mr. Kizil described his club’s support for Kobani in an interview with Rudaw as “human solidarity.” In response to the SFF’s description of the support for Kobani as “political,” Mr Kizil retorted: "We do not care about their warnings or any eventual penalties.” Adil Kizil, Ramazan Kizil’s son and Dalkurd’s sports manager added: “We can’t just sit and watch while Kobani gets massacred. We must do something." Some 200,000 people have fled Kobani mostly to Turkey in the last six weeks. Scores of young German Kurds have joined the outlawed Kurdistan Workers Party (PKK), a group that long championed the ideal of a pan-Kurdish state that would be carved out of Kurdish regions in Turkey, Iraq, Syria and Iran. The group -- condemned by Turkey, the European Union and the United States as a terrorist organization -- has since lowered its sites to demanding full rights within Turkey in stalled negotiations with the Turkish government. Sabri Ok, a PKK leader, recently told German magazine Der Spiegel: "The new generation is different from us older people. They are more radical. 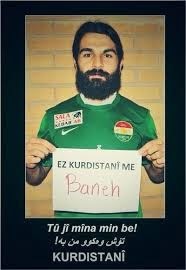 They have seen the war in Kurdistan and their brothers and sisters have died in Syria. It will be difficult to control them." For many Kurds, the battle for Kobani, once a secular, democratic Kurdish-governed enclave, represents their aspirations. The fall of Kobani, PKK officials warn, would fuel Kurdish resistance and could revive the Kurdish insurgency in south-eastern Turkey in which some 40,000 people have died since 1984. FUNNY thing, democracy. Here in the west, we like to champion our commitment to the idea of fair and free elections. A proper contest, where the best man (or woman) wins, according to the will of the electorate. But in football at least, that commitment will be put to the test over the next twelve months. Locally, the FFA elections in November 2015 will decide who succeeds Frank Lowy as Chairman of Australia’s governing body. Officially, global executive search firm, Egon Zehnder, has been engaged to “find” the right candidate. Unofficially, the name of Lowy’s son, Stephen, continues to pop up in discussions. Lowy Junior could well be an excellent choice of course, but the process not only needs to be fair, it needs to be seen to be fair. However, there is a “bigger picture” problem to deal with before then. Next May, the world governing body - FIFA - will choose its next leader, and, as things stand, incumbent Sepp Blatter is as much of a shoo-in for the win as the Workers Party in North Korea. 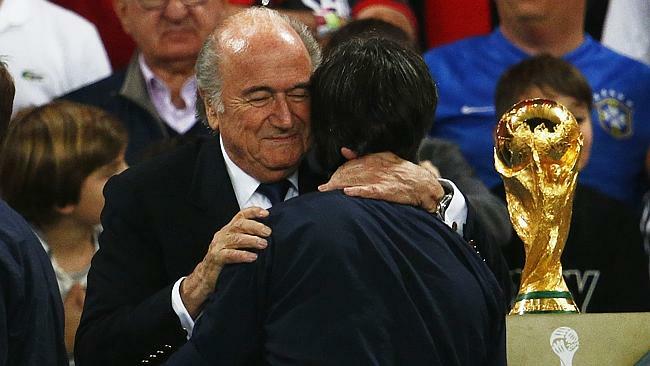 Blatter, lest we need reminding, is the Dear Leader who has presided over the most divisive period in FIFA’s history. The stench of the World Cup bidding process that led to Russia, and especially Qatar, being awarded the rights to stage the game’s biggest tournament, still lingers. The Garcia Report - the inquiry into the whole, sorry mess - will never see the light of day in public. The only people who will cast their eyes over it in full, are Hans-Joachim Eckert, the Chairman of the Adjudicatory chamber of the ethics committee, and his deputy - oddly, an Australian, Alan Sullivan. That the world demands to know the truth is, seemingly, mere detail - even though the report’s author, the American Michael Garcia, says he believes the public has a right to know. Meantime, Blatter, FIFA’s teflon man, tweets to the world that FIFA is - and I quote - “taking the lead” in acting ethically. Seriously. 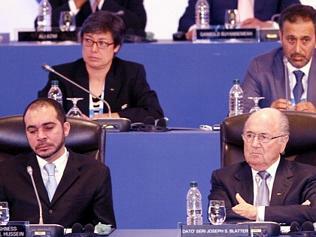 Blatter’s comments have rightly been met with derision - his chutzpah even more breathtaking, given recent developments. Blatter, in case you didn’t know, has refused to answer the question of whether he has handed back a $16,000 watch, given as a “gift” by the Brazilian Football Confederation during the 2014 World Cup. Ethics rules dictate only gifts of “trivial” value are conferred upon officials. However, Blatter, along with his former personal advisor, Jerome Champagne, are currently the only candidates to confirm they will stand in next years Presidential election. A Blatter victory thus seems assured, for what would be a fifth term. Not bad for a septuagenarian who promised he would call it quits after four. UEFA’s Michel Platini has already ruled himself out - no bad thing, given some of his best work includes extending the numerically perfect European Championships from 16 teams to an unwieldy 24. Harold Mayne-Nicholls, the Chilean who was part of FIFA’s inspection team for the 2018 and 2022 World Cups, has indicated he may take the plunge. Recently, he suggested 1am starts for finals matches in 2022 to avoid the searing Qatari heat. But by far the most intriguing name to be put forward of late, is that of Prince Ali - the Jordanian reformer, whose commitment to transparency has ruffled many feathers within FIFA, and AFC circles. Prince Ali is yet to comment on the rumours, but he has stated his support - via his personal Twitter account - for the public disclosure of the Garcia Report. Intriguingly, he has also endorsed tweets from others who are suggesting it is time for Blatter to stand down. James Dorsey is an award winning journalist who runs a fascinating online blog entitled “The Turbulent World of Middle East Soccer” - he believes the Prince is the ideal solution to FIFA’s woes. “He would be the candidate who would do the most in terms of reform, and ensuring transparency and accountability. He would also do much for the development of women’s and grassroots football,” says Dorsey. On that theme, the Prince does much unheralded work behind the scenes with the Asian Football Development Project, funding coaching education for Syrian refugees in the north of his country, paying for artificial training pitches to be installed in Kyrgyzstan, and - previously - working tirelessly with Australia’s Moya Dodd, on the issue of the wearing of the hijab in the women’s game. Prince Ali, however, has been outflanked within AFC circles by new President, Sheikh Salman of Bahrain, who will succeed him as FIFA Vice-President when his term runs out next year - thanks to a change in the rules, which the Sheikh himself introduced. Salman has already promised the AFC’s vote to Blatter. Sound familiar? Perhaps that is why the Prince is - reportedly - considering going for the top job himself? If there’s any truth at all to the stories, then it’s a promising development. Not everything FIFA does is wrong, or corrupt of course - but clearly, it has a major image problem at the moment, which is harming the game. It needs a broom put through the place, and a new, transparent, reformer put in charge. 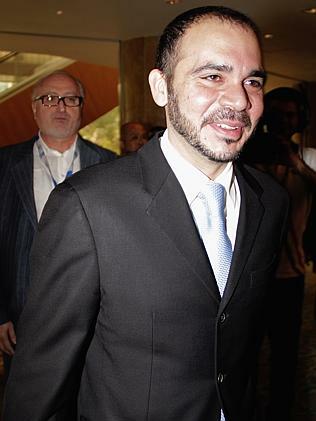 Could Prince Ali win against Blatter, the consummate politician who holds large swathes of Africa and Asia in his sway? James Dorsey again. Whether or not Prince Ali could force change, or at least be the catalyst FOR change, surely someone, somewhere has to take a stand against Blatter and the antiquated, authoritarian way FIFA is run? Prince Ali could be that man. If we in Australia truly believe in democracy, then we should encourage his nomination. For standing idly by, only makes us complicit with the current regime. Mounting tension between Israel and Palestinians on the occupied West Bank and in East Jerusalem have spilt on to Israeli Palestinian soccer pitches in Israel proper as Israel swings towards ultra-nationalists that make Prime Minister Benyamin Netanyahu look like the best card in a bad hand. Israeli human rights and legal advocacy group Adalah – The Legal Center for Arab Minority Rights charged in a petition to the Tel Aviv district court that the Israel Football Association (IFA) was segregating Israeli and Palestinian teams and discriminating Israeli Palestinian players in its Shomron amateur division. Adalah was acting on behalf of Muhammad Lutfi from the Israeli town of Umm al-Fahem, the father of a young Israeli Palestinian soccer player. In its petition to the court Adalah said the IFA had advised 13 of the 15 Palestinian teams in the division that they were being moved into a division for Palestinians only. The remaining two Palestinian teams would be grouped in a division alongside 12 Israeli Jewish teams, Adalah said. Adalah asserted that the regrouping was sparked by objections by some Israeli Jewish parents against their children playing with Palestinians. The case was filed in the wake of this summer’s Gaza war during which fuelled anti-Palestinian and ultra-nationalist sentiment in Israel. With Mr. Netanyahu privately anticipating early elections, Economy Minister Naftali Bennett, the leader of the Jewish Home party and a proponent of the Israeli settler movement has emerged as a formidable threat to the prime minister. Mr. Bennett has threatened to bring the government down by abstaining if not voting in favour of a no-confidence vote in parliament on Monday if Mr. Netanyahu refuses to authorize further housing projects in occupied Palestinian territory. Mr. Netanyahu could waylay Mr. Bennett’s effort by reaching out to religious parties. The Israeli Palestinian soccer tensions also come amid increasing unrest in Jerusalem with Palestinian youths and Israeli security forces clashing over access to the Temple Mount or Haram al-Sharif, which is holy to both Jews and Muslims. The stealth acquisition by Israeli settlers of properties in Jerusalem’s predominantly Palestinian district of Silwan that sits just under the Temple Mount has further fuelled tension. Jewish residents have moved into the newly acquired properties in the neighbourhood in the middle of the night in a bid to avert Palestinian protests. In a letter to the parents involved in the court case, the IFA appeared to acknowledge that objections by Israeli Jewish parents had played a role in its decision. ““We will not contradict the desires of the clubs (regarding the divisions), and we will not force a child to play in a league that is not joyful for him/her and that does not help his/her professional development”. The IFA said it was referring to differing playing levels. 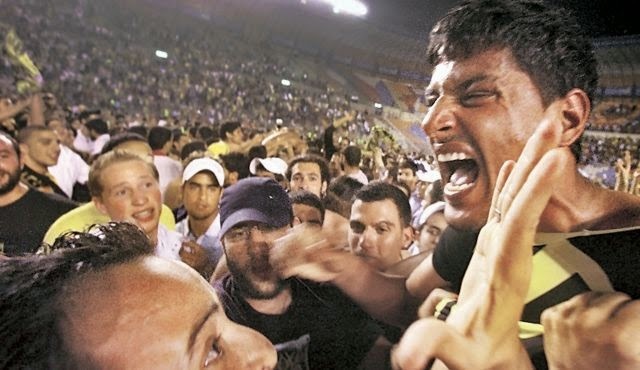 “The petition contended that segregation between children based on their national belonging delivers a negative message that Arab teams are unwanted and are not skilled enough to play with Jewish teams. This message is offensive to children and violates their right to equality with Jewish children… the decision of the IFA to segregate the teams, even if only in certain areas, reinforces discrimination and prejudices against Arab citizens of Israel,” Adalah said in a statement. “Furthermore, the IFA’s decision to not distribute teams according to objective general standards, regardless of national belonging, will strengthen and perpetuate the lack of respect and lack of acceptance of others. This is particularly important in the matter of children’s sports, where it should not only teach children to be successful but to also teach them the values of mutual respect for different people,” Adalah said. The law suit coincided with the imposition by the IFA of a fine on Israeli’s leading Palestinian team, Bnei Sakhnin, long viewed as a symbol of Israeli-Palestinian co-existence, for engaging in politics by honouring a controversial Israeli Palestinian former member of parliament as well as Qatar. Israel has turned on Qatar because of the Gulf state’s support for Hamas, the Islamist militia that controls the Gaza strip, and the Muslim Brotherhood. The honouring was intended as an expression of gratitude to former deputy Azmi Bishara for arranging funding from Qatar for the club at the height of the Gaza war. Qatar is the only Arab country that does not officially recognize Israel to have openly invested in the Jewish State. Bnei Sakhnin it turned to Mr. Bishara for help after Israel authorities had refused to come to the club’s financial rescue. To be sure, the 15,000 Israeli shekel ($4,000) fine was light against the backdrop of calls by members of Mr. Netanyahu’s cabinet, including Culture and Sport Minister Limor Livnat and Foreign Minister Avigdor Lieberman, to expel Bnei Sakhnin from Israel’s Premier League. Israeli-Palestinian tension was further reflected in soccer with fans of Beitar Jerusalem, Israel’s most racist anti-Palestinian, anti-Muslim soccer group chanting during a soccer match this week “Jerusalem is ours” and “48,” a reference to the 1948 Israeli-Arab war from which Israel emerged as an independent state. The Beitar fans were responding to a banner hoisted in Bnei Sakhnin’s Doha Stadium during a match immediately after the controversial ceremony which had the words “Jerusalem is ours” inscribed beneath a picture of the Al-Aqsa Mosque in Jerusalem, one of Islam’s holiest sites. Israeli President Reuven Rivlin summed up the mounting tension by saying that “Jerusalem cannot be a city where the light rail, which services all the city’s residents, is attacked in a way that threatens the ability to lead a normal life.” Mr. Rilkin was referring to this week’s ramming of a train station by a Palestinian car driver. A three-month old baby was killed in the incident. It was not clear whether the incident was an accident or an attack by the driver. “Jerusalem cannot be a city into which moving into apartments happens in the middle of the night,” Mr. Rivlin went on to say. Israeli youths responded to the train station incident with a demonstration calling for revenge. “Arabs, beware! Jewish blood is not valueless,’’ they chanted. When Saudi rulers send warplanes on missions against Islamic State, they’re targeting a group whose theocratic ideology and roots in desert warfare overlap at least partly with the kingdom’s own present and past. The world’s largest oil exporter has evolved into a mostly urban society in its eight decades of statehood, yet nomadic fighters erupting from the desert in a blaze of religious zeal are still part of its foundation narrative. Today inSaudi Arabia, as in the territory controlled by Islamic State inSyria and Iraq, women must wear black abayas, shops all close during prayer times, religious police enforce Islamic laws and criminals face violent punishment. Saudi Arabia, like its longtime U.S. ally, sees Islamic State as a terrorist group and has joined the war against it. Yet the jihadists share some common ground with their Saudi opponents, even if that’s outweighed by their differences, and they have sympathizers in the kingdom, according to Gregory Gause, head of the International Affairs Department at Texas A&M University. Some Saudis view the U.S.-led bombing campaign as a Western plot against the Muslim world, and such sentiments have provoked a backlash in the past, especially when U.S. troops were allowed into the kingdom to fight the 1991 Gulf War. Saudi rulers have been trying to prevent their citizens from fighting abroad in Islamist causes since the Syrian war escalated, and the top clerics have denounced Islamic State. Courts have sentenced more than 30 people to prison this week for conspiring to attack U.S. forces based in Qatar and Kuwait and for supporting the killing of foreigners and government officials in the kingdom, the official Saudi Press Agency said. They included four women said to have encouraged their children to join overseas wars. There have been more than 200 terrorism-related convictions in the past two months. Saudi religious thought has evolved and “the Wahhabism of today isn’t in favor of the jihadi movement,” said Fahad A. Alhomoudi, the founder of the Western Studies Institute in Saudi Arabia. Islamic State is “more of a militant movement, instead of an Islamic movement,” said Alhomoudi, formerly a professor at the School of Law at Imam Muhammad bin Saud Islamic University. Violence combined with an appeal to Islamic theology has marked Islamic State’s rapid advance across Syria and Iraq, where it has declared a caliphate on land it conquered. Promotional videos show the beheading or torture of captives or battle scenes, interspersed with Koranic citations. This combination means that the Saudis see a dual threat when they look at Islamic State, said Paul Pillar, a former intelligence officer for the Near East and South Asia at the Central Intelligence Agency. Its military prowess is “a possible short-term threat to any established power in the region,” and the jihadist group could also “in the longer term be seen as a challenge to the Saudi regime’s religiously-based claim to legitimacy,” Pillar, now a professor at Georgetown University, said in an e-mail. Much of Islamic State’s violence has been directed toward Shiite Muslims, as well as Christians and other minorities in Iraq and Syria, and also toward women, who have been sold as slaves or subjected to forced marriages, Human Rights Watch said. While they’re not usually exposed to violence, the same groups are regularly featured in human rights reports critical of Saudi Arabia. Saudi clerics such as Mohammed al-Arefe, who has more than 9.5 million Twitter followers, mostly reject Shiite practices and dismiss women’s right to drive cars. 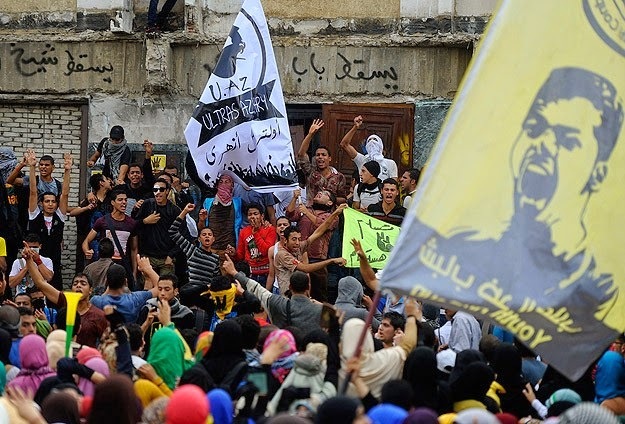 Authorities today warned women against pursuing a campaign on the issue. Other faiths are banned, and practitioners have been arrested by religious police for holding private services in their homes. Offenders can be flogged, or beheaded for serious crimes. Islamic State and Wahhabi doctrines overlap in “puritanism and xenophobia toward non-Muslims and Shiite,” said David Commins, author of “The Wahhabi Mission and Saudi Arabia” and a professor at Dickinson College in Pennsylvania. A key difference is “the caliphate agenda,” Commins said, referring to the title used by Islamic State’s leader, Abu Bakr al-Baghdadi. The revival of a term used by earlier Islamic leaders suggests a wider ambition to rule all Muslims. “That was never part of Wahhabi doctrine,” Commins said. Abdulaziz halted his expansion once most of the Arabian Peninsula was conquered, and turned against the Ikhwan, whose main leaders later surrendered to the British. That history underscores another distinction with Islamic State, that between an established power and an expansionist upstart, according to James Dorsey, a senior fellow in international studies at Nanyang Technological University in Singapore. Saudi Arabia’s current ruler, the 90-year-old King Abdullah, has sought to change the kingdom. He has tentatively promoted women’s role in the workplace since ascending to the throne in 2005 and encouraged thousands of young Saudis to study abroad through a state-sponsored scholarship program. Comparing Saudi Arabia to the Islamic State “neglects the gradual but significant cultural change that has taken place since the 1990 Gulf War,” said Fahad Nazer, a political analyst at JTG Inc., a consultancy based in Vienna, Virginia, who has worked for the Saudi Embassy in Washington. The Gulf War triggered an outpouring of criticism by Saudi religious scholars of the decision to let U.S. troops deploy in the kingdom. It was the last time, until this year, that the Saudis publicly sided with the Americans in a major Middle East conflict. Adding to Saudi concerns is the fact that so many Saudi citizens are among the jihadists fighting in Syria and Iraq. There are about 2,500 of them in Syria, the New York-based Soufan Group, a security research firm, estimated in a June report. Twelve of 21 Islamic State suicide bombings in Iraq since last month were carried out by Saudis, London-based al-Hayat newspaper said last week. Jihadists who returned to the kingdom from past wars in Iraq and Afghanistan used skills they learned there to attack Saudi targets. Their appeal was enhanced by the fact that “Islam is essentially republican in spirit and more than skeptical about monarchy,” said Chas Freeman, a former U.S. ambassador to Saudi Arabia. Al-Qaeda also targeted the Al Saud, especially after the 2003 U.S. invasion of Iraq. Its campaign ultimately failed, because ‘‘the state was strong enough to put them down’’ and rich enough to retain the loyalty of ‘‘the vast bulk of the Sunni population,’’ Gause said.